The above Commodity is used as the underlying Commodity for certain deposit-based/financing-based/investment-based products and its maximum pricing will remain until further notice. We will communicate to customers on the actual commodity details and price per tonne (not exceeding the maximum price) on the date the commodity is traded. Please be informed that any further changes above the maximum commodity price will be communicated to customers whose application is in process. For any renewal of Term Deposit-i using the above commodity (or any other approved commodity), the final renewal profit rate will be informed to customers based on prevailing board rates on the renewal date as listed below under item 4 “Term Deposit-i” or as published at branches. The above Commodity is used as the underlying Commodity for certain deposit-based/financing-based/investment-based products and its maximum pricing will remain until further notice. We will communicate to customers on the actual commodity details and price per tonne (not exceeding the maximum price) on the date the commodity is traded. Please be informed that any further changes above the maximum commodity price will be communicated to customers whose application is in process. For any renewal of Term Deposit-i using the above commodity (or any other approved commodity), the final renewal profit rate will be informed to customers based on prevailing board rates on the renewal date as listed below under item 4 “Term Deposit-i” or as published at branches. The above Commodity is used as the underlying Commodity for Current Account and Savings Account based on Syariah concept of Tawarruq products and its maximum pricing will remain until further notice. 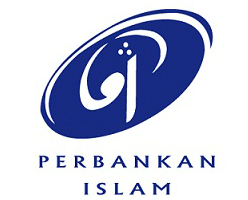 The agreed profit rate will be informed to customers based on prevailing board rates as listed below under item 3 “Current Account and Savings Account based on Syariah concept of Tawarruq” or as published at branches. Hibah paid for previous month. Hibah paid is solely based on Bank’s discretion and the disclosure on the Hibah percentage paid as seen below is based on historical information and shall not be constructed in any way as an indicative or prospective. Profit paid based on Profit Sharing Ratio. Offer to buy commodity from Customers on deferred terms from 11th April 2014. *Product not available for account opening. Current monthly rates are computed at the middle of the month and will be available on the 16th or the next business day of the month. For Mudharabah Investment Account, previous rates are not guarantee or reflection of future rates. What is the base rate (BR)? The BR we offer on this product is made up of two parts, our benchmark cost of funds (COF) and the Statutory Reserve Requirement (SRR) cost imposed by Bank Negara Malaysia. Our benchmark COF is the marginal cost of raising funds for the property financings for individual. Our BR can rise or fall due to changes in the benchmark COF and changes in the SRR. 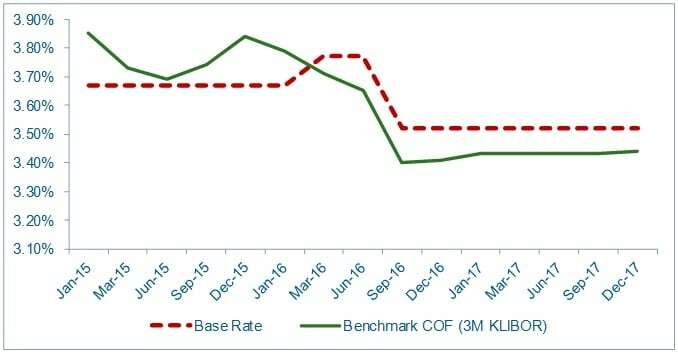 Changes in the benchmark COF could occur due to changes in the Overnight Policy Rate (OPR) as decided by the Monetary Policy Committee (MPC) of Bank Negara Malaysia. In addition, as the benchmark COF is the marginal cost of raising funds, it will change in line with fluctuation in the market funding condition. SRR cost will change in line with changes in the SRR rate as decided by MPC of Bank Negara Malaysia. Historical benchmark COF and BR in the last 3 years. Note: Effective Rental Rate may vary if BR or BFR changes. Base Financing Rate = 6.95% p.a. BFR is not applicable for new individual home/commercial financing applications from 2nd January 2015 onwards. BFR is applicable ONLY for commercial property financing for company (SME).